Over the past 27 years - the complete time frame that the data has been available - there have been 0 deaths as a result of vitamins and over 3 million deaths related to prescription drug use. In fact, going back 54 years there have only been 11 claims of vitamin-related death, all of which provided no substantial evidence to link vitamins to the cause of death. The news comes after a recent statistically analysis found that pharmaceutical drug deaths now outnumber traffic fatalities in the US. The findings go against the claims of mainstream medical ‘experts’ and mainstream media outlets who often push the idea that multivitamins are detrimental to your health, and that prescription drugs are the only science-backed option to improving your health. While essential nutrients like vitamin D are continually being shown to slash your risk of disease such as diabetes and cancer, prescription pharmaceuticals are continually being linked to such conditions. In fact, the top-selling therapeutic class pharmaceutical drug has been tied to the development of diabetes and even suicide, and whistleblowers are just now starting to speak out despite studies as far back as the 80s highlighting the risks. Mainstream medical health officials were recently forced to speak out over the danger of antipsychotic drugs, which millions of children have been prescribed since 2009. U.S. pediatric health advisers blew the whistle over the fact that these pharmaceuticals can lead to diabetes and even suicide, the very thing they aim to prevent. What is even more troubling is that half of all Americans will be diagnosed with a mental condition during their lifetime thanks to lack of diagnosis guidelines currently set by the medical establishment, of which many cases will lead to the prescription of antipsychotics and other similar medications. In order to protect sales, the link between suicide and antipsychotic drugs was completely covered up by Eli Lilly & Co, the makers of Prozac. Despite research stretching as far back as the 1980s finding that Prozac actually leads to suicide, the company managed to hide the evidence until a Harvard psychiatrist leaked the information into the press. The psychiatrist, Martin Teicher, stated that the American people were being treated like guinea pigs in a massive pharmaceutical experiment. Greedy and oftentimes prescription-happy doctors are handing out antipsychotic medication like candy to adults and young children alike. In 2008, antipsychotics became the top-selling therapeutic class prescription drug in the United States and grossing over $14 billion in sales. Antipsychotic drugs are not the only dangerous pharmaceuticals. The average drug label contains 70 side effects, though many popular pharmaceuticals have been found to contain 100 to 125. Some drugs, prescribed by doctors to supposedly improve your health, come with over 525 negative reactions. Perhaps the hundreds of negative side effects is part of the reason why the FDA announced last year that it is pulling more than 500 cold and allergy off the market due to health concerns. 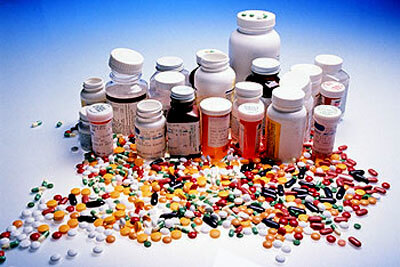 Prescription drugs kill more people than traffic accidents, and come with up to 525 negative side effects. Avoiding these drugs and utilizing high quality organic alternatives like whole food-based multivitamins and green superfoods will lead to a total health transformation without harsh side effects and an exponentially increased death risk. Most recent year: Bronstein AC, Spyker DA, Cantilena LR Jr, Green JL, Rumack BH, Giffin SL. 2009 Annual Report of the American Association of Poison Control Centers’ National Poison Data System (NPDS): 27th Annual Report. Clinical Toxicology (2010). 48, 979-1178.